" A portrait of my child, once a week, every week in 2013 "
Chloe, a moment of pure sweetest while waiting for our food to arrive, this little girl loves her Daddy! On another note, this was the first time in quite awhile that we decided to go out to dinner at a restaurant. Chloe normally has always done really well at restaurants but this time she was not having it. She had no interest in sitting down and eating her food, instead she wanted to run around and explore. Life with a toddler can be pretty hectic at times I'm not going to lie! 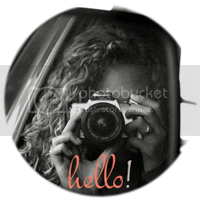 Linking up with the lovely Jodi for the 52 project. oh, i know what that's like... really, going anywhere is tough when you've got a little thing just waiting for the chance to run from your arms (most times, trying to jump from them!) to get away and run down the aisles at various places. but, oh, those moments like the one you captured above. it makes it all worth it, doesn't it? such a beauty, chloe is. I know it can be so exhausting just trying to leave to house with Chloe at times but it makes it all so worth it to see her happy and having fun! Don't you hate that, when you are doing the best you can to make it fun for them- it's always just after you order your food. I've found that if I can load a cartoon on my iphone it works exceedingly well to keep casper still although he still sometimes will squirm and run away! Great photo! Thank you! and yes it's so hard when you're doing everything you can to keep them happy and entertained at its just not working. Makes me never want to go out to eat again lol! Seeing little ones with their daddys is the best! Look at her little face, so innocent! I especially love the little knitted jumper she's wearing. It looks so cosy. We're going through the same thing over here with our little girl. Gotta love those hand hugs - what a precious girl! Hello from your newest follower. I'm over from the GFC blog hop. Hope you can stop by sometime if you have a chance. Take care and have a great Monday! Just found you through the blog hop - excited to read more and follow along via GFC! !